The third book in the New York Times bestselling Maze Runner series—The Death Cure is a modern classic for fans of The Hunger Games and Divergent. The third and final installment of The Maze Runner trilogy. Ever since I read the first book a few months ago, these have been some of my favorite books. And now, I have finally finished it. Though I have slightly mixed feelings about this book, this will ultimately be a positive review. This book didn't change my opinion about the series. It is still fantastic and one of my favorites. So, let's get on with it. 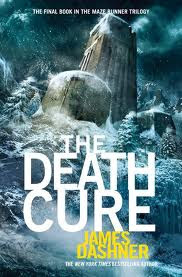 In The Death Cure, there is some of the most suspenseful and well action that I have ever read. Seriously, Mr. Dashner knows how to keep his audience on the edge of their seats. When reading this book, there were a few instances in which I had to pause ("Seriously, mom, can I walk the dogs later?!") and I would be extremely stressed out, only wanting to know what happens next in the story. And in those instances, I really hated my dogs for having bladders. Forgive my dog-related digression, I'm just attempting to explain how good the action is in this book. I really like Thomas's character in these books for one reason: He's believable. 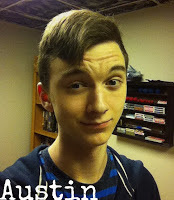 He reacts to situations like a real person would, and not as if he's some character in a book. He's not inexplicably talented when the plot demands it, like so many characters are in other books. He wins fights when he should, and doesn't miraculously win them when he shouldn't. The only thing that really sets him apart from some ordinary teenager is the fact that he's apparently extremely smart; which isn't ever displayed very much, apart from a few moments of brilliance. Thomas's character was developed fantastically throughout the series and he's definitely one of the more memorable aspects of these books. There was never a dull part to this book. Sure, there might be a few pages here and there that are mostly uneventful, but this book is a general roller-coaster ride of awesomesauce. Some negativity here. I felt like the ending to this book was slightly rushed. Too many things crammed into too few pages. I'm not the biggest fan of how this series wrapped up. Not that it was a bad ending, but with a writer as amazing as James Dashner, I feel like it could have been better. Not a cliffhanger, really, but there definitely were questions left unanswered. Perhaps I am speaking out of turn, never having read the prequel that came out last year, but having just read the trilogy, it seems like there are several pieces missing from the puzzle. Like I said above, I feel like the ending was a bit rushed. Despite the ending not quite meeting my many expectations, I would (And do) recommend this series to just about everybody who reads. Seriously, it's pretty freaking amazing. Several of my friends have read this series, and every single one has loved it. The Maze Runner is one of the books I most often give out for people to borrow. This series is a beauty to be shared, and share it I do. I've recently read The Maze Runner and finished The Scorch Trials just last week. I can't wait to read The Death Cure! But I'm going to be pretty busy this next week so I'll hold off for a little while. These books are really great! And like you said, Thomas is an excellent character! I read The Maze Runner last year and didn't get to the rest in the series yet, sounds like by your review though about this awesome suspense action that I need to get on it!